The Leeward Dutch Antilles are best known for their arid landscapes of statuesque cacti, rugged rock formations and teeming coral reefs. 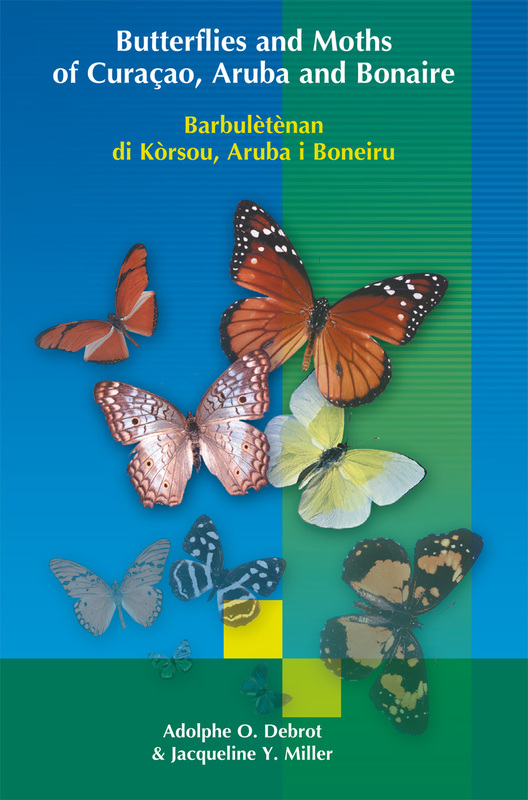 To this can now be added the surprisingly diverse and colorful butterfly fauna. 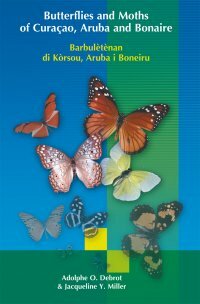 With full color photographs of 78 species of butterflies and moths Butterflies and moths of Curaçao, Aruba and Bonaire provides extensive coverage of the species most commonly encountered in the Dutch ABC; three islands which lie basking in the breezy southern Caribbean Sea. Practically all species covered range more widely throughout the West Indies and South America. 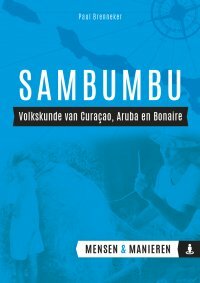 In addition to being of interest to West Indian conservationists and scientists, the book will be of great general interest to island residents and visitors. Nos islanan ABC ta mihó konosí pa nan paisahenan árido ku pal’i kadushi i datu, barankanan piktoresko i rikesanan di ref di koral. Awor por añadí e founa di barbulètè ku ta sorprendentemente riku i kolorido. 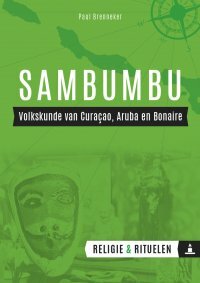 Ku pòtrètnan di koló pa 78 sorto di barbulètè Barbulètènan di Kòrsou, Aruba i Boneiru ta duna kubertura ekstenso di e sortonan mas komun di nos islanan ABC, ku ta drumi den bientu bou shelunan kla den sur di Karibe. Práktikamente tur sorto bo ta haña na otro pais di Karibe i na kòntinènt sur amerikano. Fuera di ta di interes pa konservashonista i sientífikonan Karibense, e buki lo ta di gran interes pa habitante i bishitantenan en general.